STAFFORDSHIRE'S largest nature conservation charity is saying a big ‘thank you’ for all the support it has received in the wake of the devastating moorland fire at The Roaches last month. 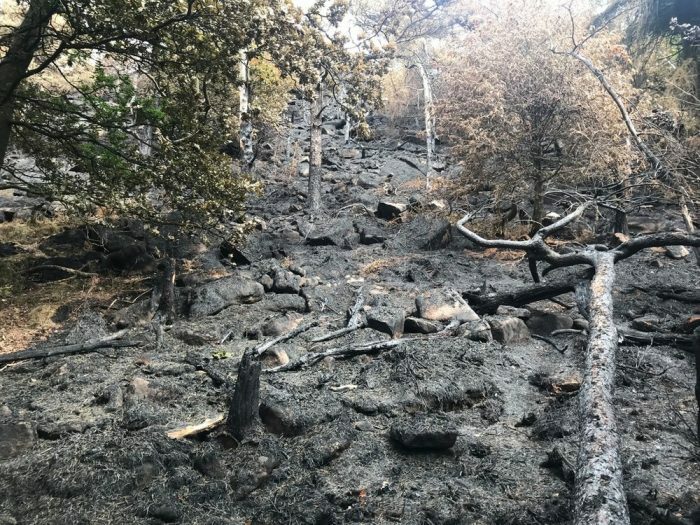 Staffordshire Wildlife Trust (SWT) has been inundated with offers of support following the large fire on its Roaches nature reserve in August, causing devastation to habitats and wildlife. That support has helped the trust massively during an extremely difficult time. Fire crews worked day and night to get the fire under control throughout August. Roaches warden, Jon Rowe, said: “The support we have received has been phenomenal. “We were inundated with offers of help from the outset – volunteers were on the ground every day manning the road blocks and access restrictions, talking to locals and potential visitors. “Their help was vital during an extremely tough time for the trust.